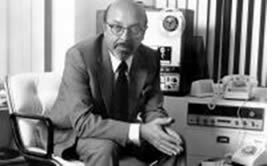 This week marks the ninth anniversary of the death of Turkish American music pioneer Ahmet Ertegun. TCA commemorates his lasting legacy, which is described by his friend Peter Brown in the below article. Brown, a former member of the Beatles core management, originally published this piece in the Daily Beast on December 12, 2013.